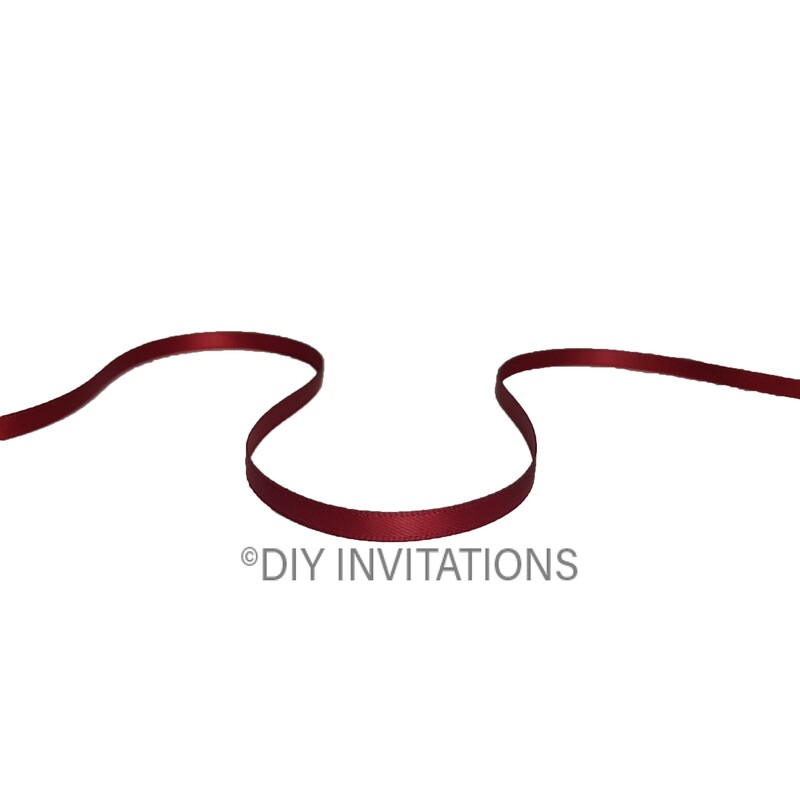 Red Wine Double Sided Satin 5mm wide Ribbon Give your gifts and Invitations a touch of class with this beautiful satin ribbon. Why not compliment the ribbon with one of our stunning embellishments for that extra touch of class. There is approx.30m of ribbon on each roll.